Medical technology applications include a wide range of highly advanced electronics like MRI machines, Ultrasound machines, X-Ray and a multitude of monitors with a variety of different sensors. Even digital stethoscopes, digital thermometers, hearing aids, meters, pumps and other medical devices are all powered by thousands of types of electronic components. 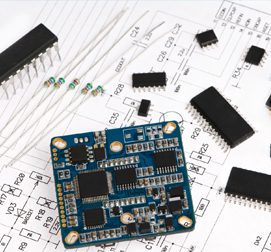 We supply a wide variety of resistors, diodes, fiber optics, fuses, relays and other board level components that are used to save lives every day and require specialty made parts that undergo stringent testing and conformity to standards.